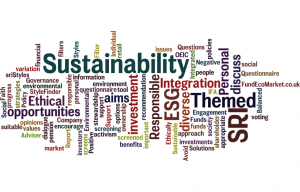 Following on from last week’s blog I am delighted to report that I have now finished responding to the European consultation into investments with Environmental and Social Objectives (‘EOS PRIIPS’) – the deadline for which was last week. 2. it is due to take effect on 1/01/2018 and is therefore highly likely to be relevant to the UK retail investment market (fund managers, IFAs etc). it appears that all relevant retail investment products may have to explain their ‘environmental and social’ objectives in KIDs and Investment Policy Statements soon. the paper calls for additional governance structures for ‘EOS’ funds – which in my view makes sense – as long as they are not allowed to become overly costly. the paper says ‘investment companies need to communicate strategies to individual investors’ … this looks problematic given distribution methods. some of their wording is a concern – their use of the word ‘objectives‘ (and the strength with which they appear to want all relevant funds to demonstrate outcomes) is a concern – as is the lack of reference to ‘ethical issues/values’ – which I think will confuse many UK retail investors. July 2017 Update – this consultation is effectively closed. The following text from the ESA website explains further. The PRIIP manufacturer targeting environmental or social objectives has to clearly specify these objectives, together with an appropriate and proportionate strategy on how to achieve them. The PRIIP manufacturer should disclose to the retail investors the objectives and how these will be achieved. The PRIIP manufacturer has to install and well document governance and monitoring measures, where the latter need to be proportionate to the objectives and strategy how to achieve the objectives. The PRIIP manufacturer should conduct regular reviews on the progress made in achieving the specified and disclosed objectives. Acknowledging the cross-sectorial dimension and the need for the rigorous assessment to address potential gaps, the ESAs specified, for each of these four areas, the required regulatory outcome and an assessment of existing rules. The ESAs concluded that at this time the establishment of specific and detailed standalone obligations for PRIIPs targeting specific environmental or social objectives would not be proportionate. Existing sectoral measures offer already, or are already in the process of putting in place, a sufficiently stringent and flexible basis for the sound regulation of PRIIPs targeting environmental and social objectives. The Technical Advice can be viewed here.